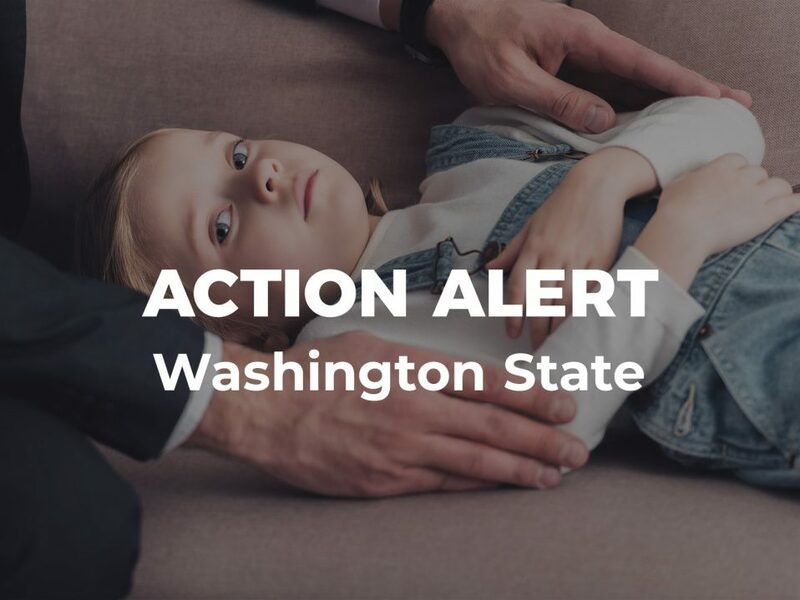 Although Washington State has laws protecting children from medical neglect, certain loopholes exempt faith-healing practitioners from prosecution for child negligence and criminal mistreatment. This situation endangers children and shields faith healers and caretakers from liability when a child dies from this type of medical neglect. Fortunately, the Child Health Protection Act (HB 1376/SB 5749), has been introduced in both the Washington State House and Senate. This legislation will protect vulnerable children and eliminate these unconstitutional religious exemptions. We need your help to move this legislation forward! Please reach out to the House and Senate committee chairs and ask them to hold a hearing on this important bill! The Child Health Protection Act will ensure that the government can take action to protect children and to prosecute instances of medical neglect. This legislation has broad bipartisan support and has been endorsed by child welfare advocates, medical professionals, religious groups, civil rights advocates, prosecutors, and parents’ groups. Everyone agrees that this is the right thing to do, but lawmakers need to hear from you to understand that it is a priority. In 2009, 17-year-old Zachery Swezey of Carlton, Washington, died from appendicitis after his parents refused to seek medical treatment due to their religious beliefs. Appendicitis has a less than a 1% fatality rate when treated with conventional medicine. Under Washington’s current law, caretakers and providers who cause tragic deaths like this one in the name of their religion cannot be prosecuted. This cannot stand—no one’s religious beliefs are more important than a child’s life. Protect defenseless children! Ask the House and Senate committees to hold a hearing on this critical bill!